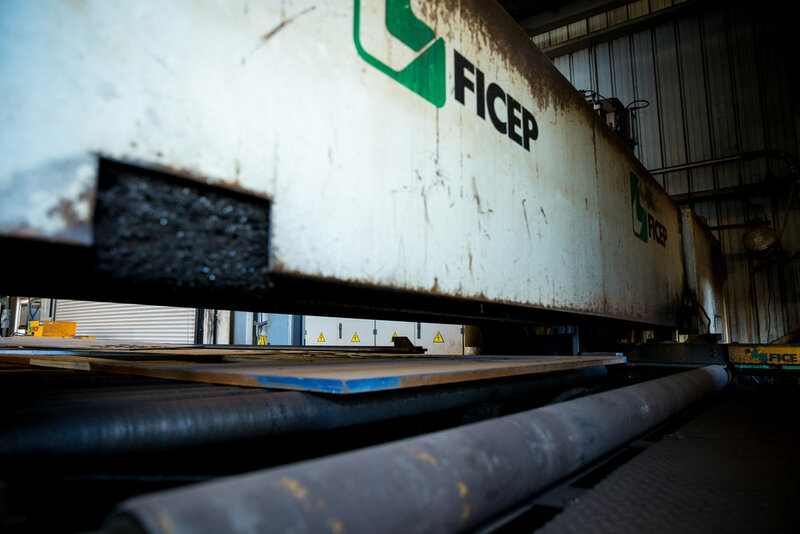 USED FICEP model A31 CNC PLATE PROCESSING CENTER (2006) — JPS International Inc. The FICEP CNC plate system model TIPO A 31 is composed of substantial bridge style box frame. Two (2) drilling heads are positioned via ball screws to the programmed location. Each Drill head has a 19 kW (25HP) motor, with high spindle speed (3,000 RPM) to accommodate today’s high performance tools. 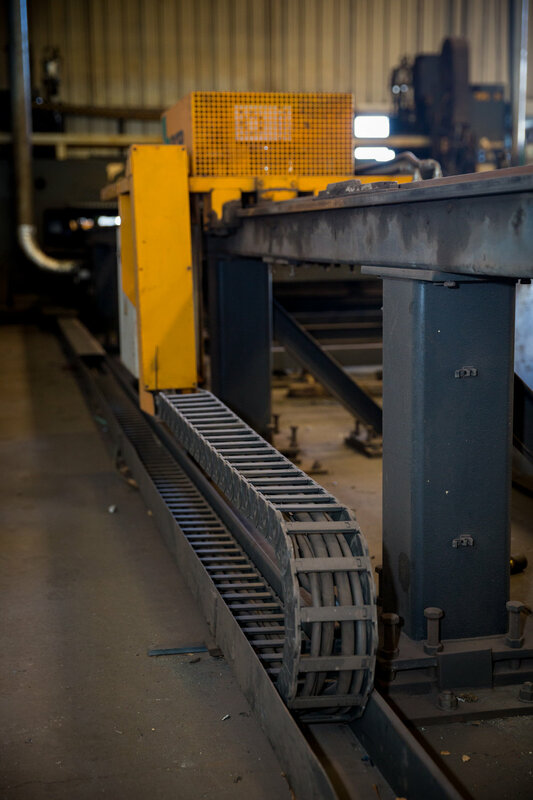 Reduction of material handling steps. Unloading the finished parts while the system in processing. High speed drilling due to the ball screw spindle feed and the ability to utilize carbide tools. 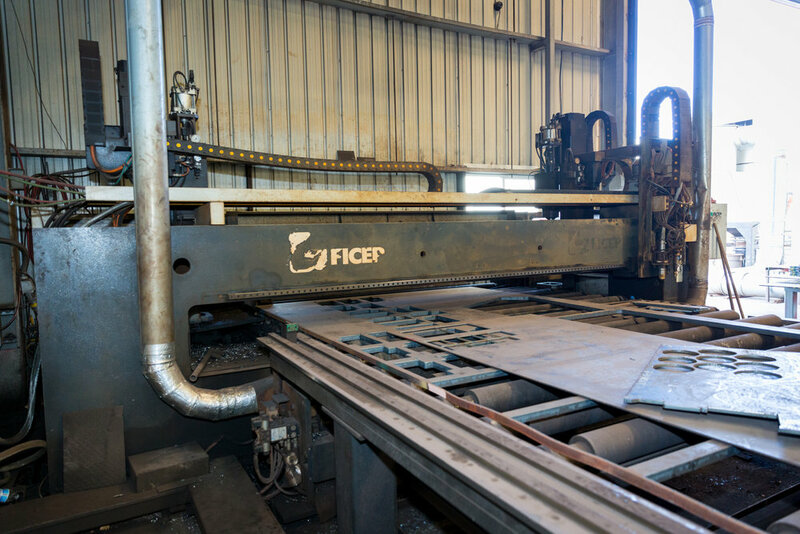 High performance plasma cutting is achieved with various torch options. 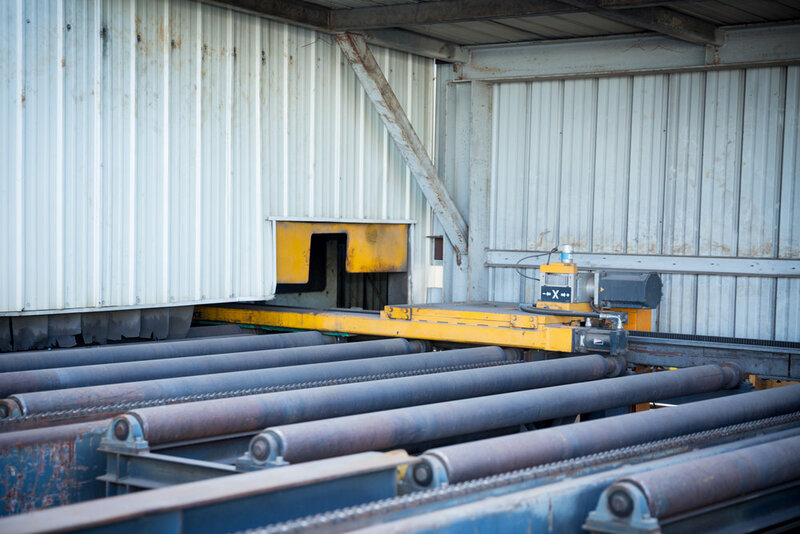 Ability to process multiple operations such as drilling, countersinking, tapping, etc. One rack and pinion measuring system for all operations guarantees accuracy between operations. Powerful nesting software for material and processing optimization.